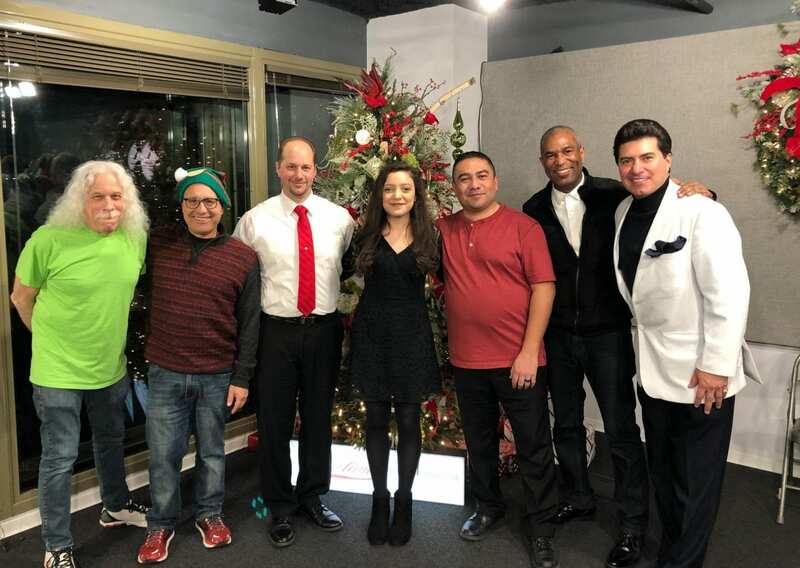 Celebrating the season, and Christmas on WGN with the same guests I’ve had on for the past three years on WGN Radio. 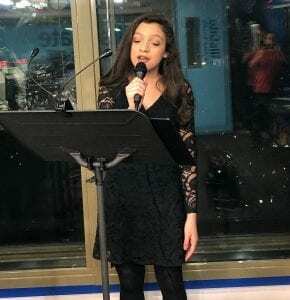 Listen HERE to the crystal clear voice of Emily Montelongo, accompanied on piano by Bob Biliskov. I think Emily hit some notes that cracked studio windows 18 floors up. Emily also teaches me how to do some important voice exercises. 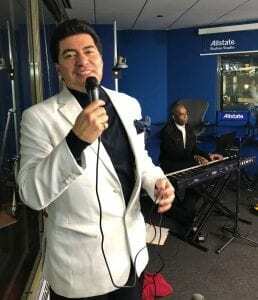 Arturo Andonaegui,a patrolman and Honor Guard Vocalist with the Chicago Police Department also performs Christmas favorites (and one Brazilian song) with his musical director Sir Roderick Pierre Pollard. We get more for our money as Arturo sings performs one song in both English and Spanish. Arturo performs regularly at Cite, 505 N. Lake Shore Dr., in Lake Point Towers. Deacon Robert Montelongo discusses all sorts of topics, from the tragic deaths of too many Chicago police officers in 2018 to good news that occurred throughout the year. The Chaplain agreed that when we pray at Christmas for peace on earth, it doesn’t matter which religion you are. U.S. Presidents, the most known celebrities in the world, from Mohammed Ali to Brad Pitt have been on WGN radio. But never before – except on this show – has Santa Claus made an appearance. He explains direct from the North Pole his “little bottle of magic.” He also talks about his longtime marriage, 238 years next Wednesday, to Mrs. Claus. I also reminisce with retiring WGN engineer Aubrey Mumpower. Christmas on WGN is always fun, and sometimes touching as well.